Property 19: Cabin Fever !!!!!!!! Property 23: Book now to snuggle by the fire and enjoy the cold mountain air! Book Now - Rent Days/Weeks/Months & Get Same Days Free + $25 Gas Card - Wow!!! Property 25: Book Now - Rent Days/Weeks/Months & Get Same Days Free + $25 Gas Card - Wow!!! 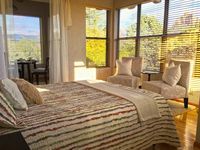 Property 26: 20% Off 7-night Stay with 25% Down! Book your Spring/Summer/Fall Vacation here! Property 28: Family/Pet friendly, Mountain Biking Heaven, Heart of Red Rocks farm oasis. 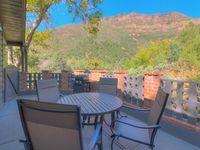 Property 36: Serene 1BR Sedona Area Cottage in Wine Country! Property 41: Paradise in the Pines - Perfect Getaway up North! Pet Friendly! Free Firewood! Property 48: Creek Front Cottage in Oak Creek Canyon! Very nice and clean; easy to get in and out; and Josh is very responsive. As a bonus, there is a great hiking trail 100 yards from the driveway that provides some great views!